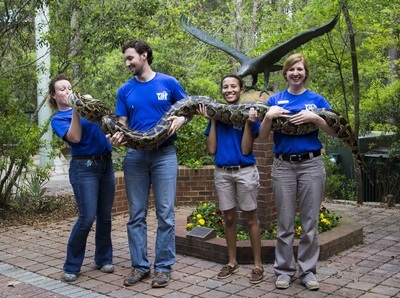 As one of the leading environmental education facilities in Georgia, GSU Wildlife Center and The Lamar Q Ball Jr. Raptor Center provides an opportunity of children, adults and even Georgia Southern football players to get up-close-and-personal with animals that most have only seen in the movies. 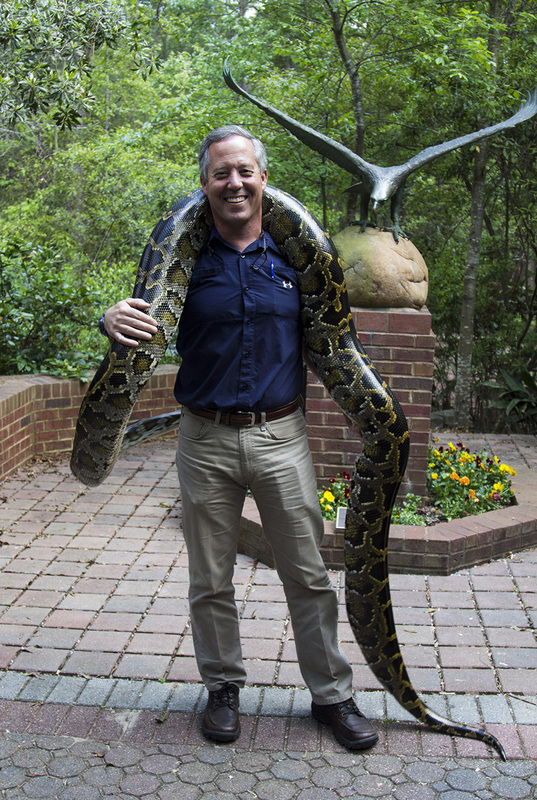 Granted, it might take a little time to cozy up to some creatures, but director Steve Hein and his staff provides a wonderful environment to push the limits of man's tolerance. Hein's talent as a wildlife artist morphed into his passion and love for the animals themselves and now, the Center shares these exquisite creatures with Georgia. Glory perches in the focal point of the Wildlife Center, a stalwart symbol of strength and perseverance. 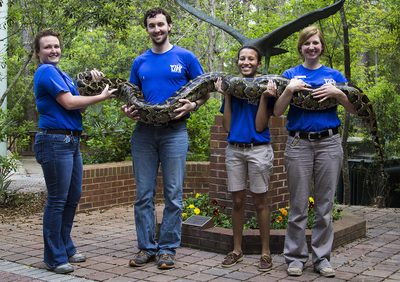 Monday - Friday: 9 a.m. until 4:45 p.m.
Saturday: 1 p.m. until 4:45 p.m.
My school field trips never included pythons. But yes, yours can. 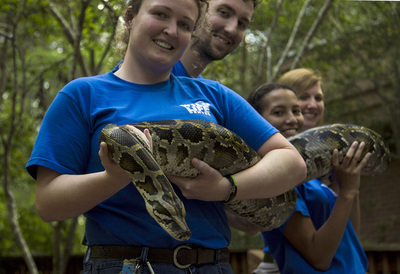 The Center offers four field trip options, ones specifically designed for various age groups. By reservation only, these trips allow the students to experience everything possible at the Center. 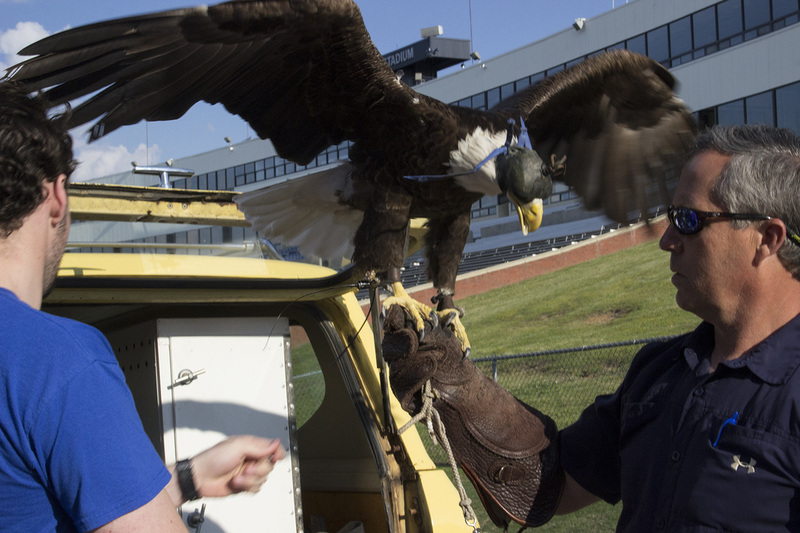 They explore the habitat as well as enter the amphitheater for flight demonstrations by hawks, owls and falcons. For lovers of pythons, there's a 96-pounder just waiting for you. 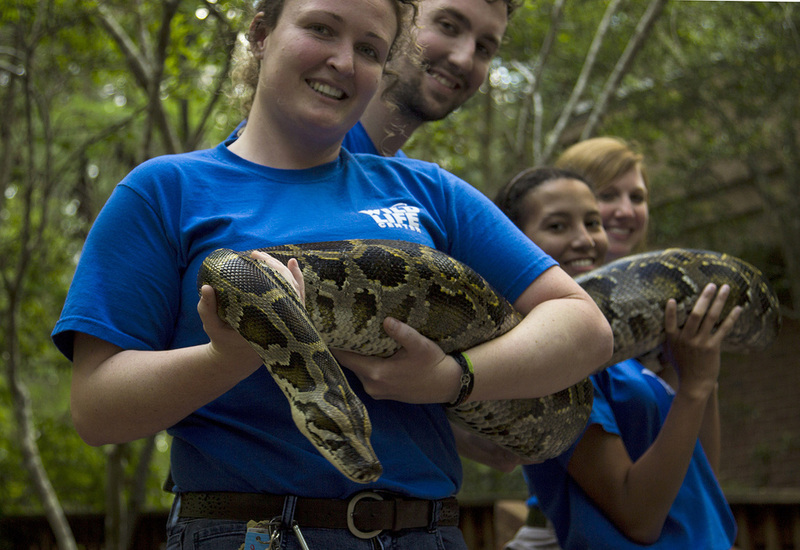 If conditions are right and eager interns are in sight, you might get to feel him slither around your neck. Freedom, Georgia Southern University's symbol and mascot. 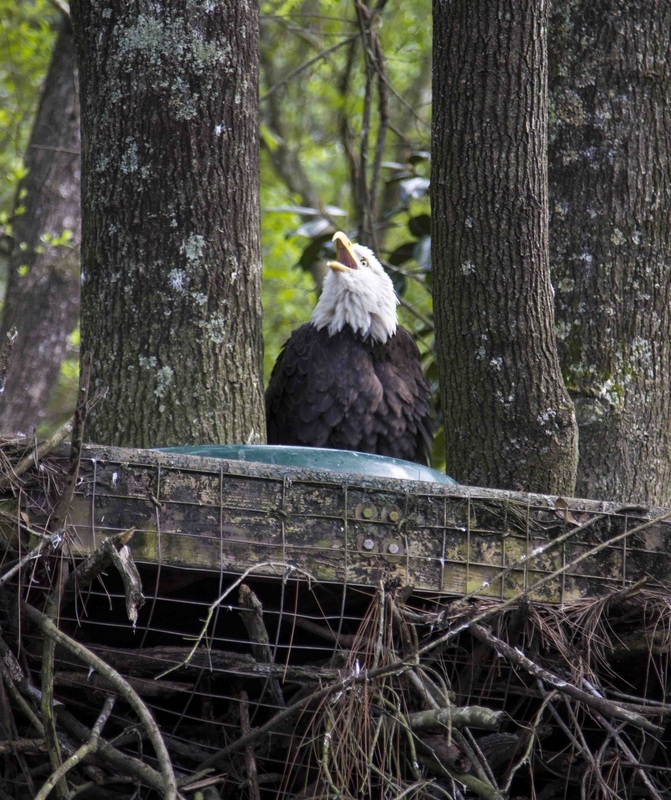 A male Southern Bald Eagle was found knocked out of the nest in Maitland, FL. Only weeks old and appearing like a “brown ball of fuzz”, the young eagle had an injury to its beak and suffered from an infection. 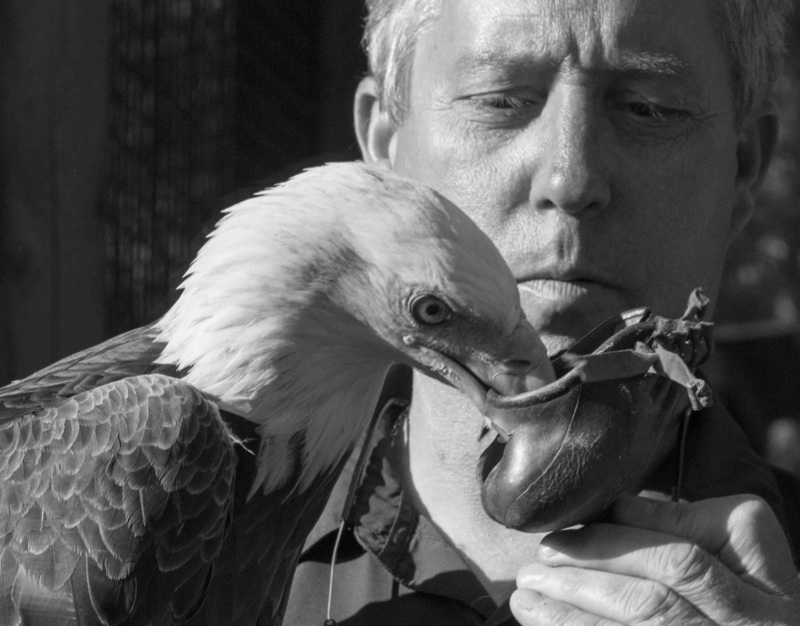 Rushed to the Florida Audubon Center for Birds of Prey, Freedom made a complete recovery from the infection but the injury to the beak was permanent, preventing his release into the wild. Georgia Southern University acquired Freedom in 2004. 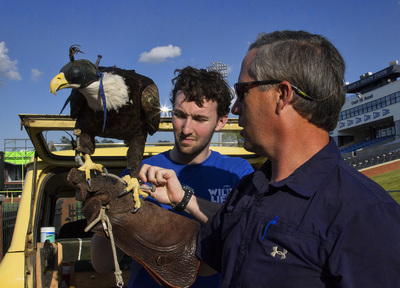 Today, Freedom serves not only as an ambassador for wildlife and as an institutional symbol, but as an “iconic reminder” of the strength and majesty of our great nation. On game day, Freedom visit the fans (along with Steve) in the stands, going up and down the bleachers, posing for pictures. For a brief moment, the fans forget about the players about to take the field. Take the field with Master Falconer Steve Hein and become an active participant in an age-old experience. 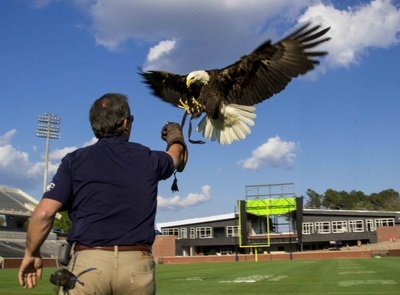 Come to Statesboro for a full day of the the ultimate outdoor experience. You must be in good physical condition for the hunt requires much walking. Small groups of 6-8 people are included. Participants must be at least 10 years old. The hunting season is October - February. For more information or to make a reservation, contact Steve Hein at shein@georgiasouthern.edu or call 912.478.0831. Post note: Yes, I did, and NO, I won't again!